The Myers lab presented two posters at this years SGI meeting in Orlando Florida. 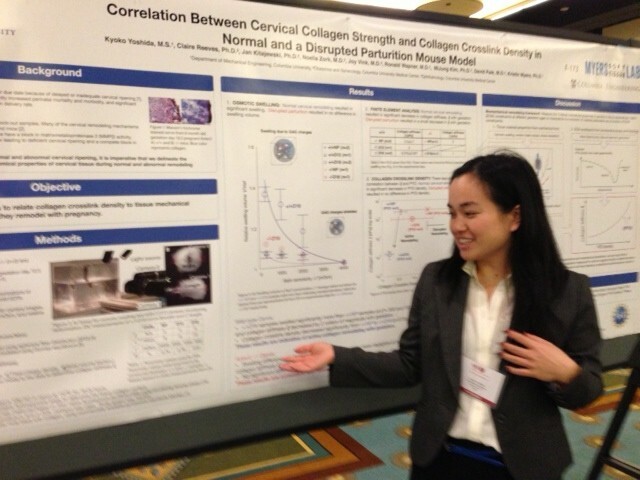 Both posters presented our investigation into the correlation between cervical mechanical strength and collagen crosslink density during cervical remodeling. Here, Kyoko explains her methodology to determine the swelling characteristics of the cervix during pregnancy.